All of us have at one point felt the hassle of making a plan with our group of friends. By the time you actually inform everyone, share the details of the plan, and get everyone to agree, it is often too late to actually execute the plan. And if you are one of the lucky ones who end up executing it on time, don't even get us started on splitting the bills later. Even though money is something we all try to be good with, it is quite embarrassing to repeatedly poke people and remind them how much they owe you. It is these very problems that Mypoolin, a social payments app, aims to solve. Once you have installed the app, verified your contact number and signed in with either your Google or Facebook account, the app syncs with your contact details to provide you a host of useful features that make it a lot easier to forget the hassles of planning and actually have fun when you go out. In the 'Split and Settle’ section, the first feature is to 'Collect money from group’. After a plan where you have paid other's shares, you can create a request where you enter the topic and the overall amount you paid. Once this is done, you need to add the people with whom you are splitting this bill from your contacts and create this payment. It is added to the home screen and requests are sent to your friends for the collection, provided they are also Mypoolin users. Otherwise they get a request to install the app first. Everyone can pay their share which is added to a secure pool. Once everyone's payments are done, you have the option to collect it as a bank transfer to your account, as a voucher with Mypoolin’s partners or a refund to your mobile wallet. Dont worry, if your friends don't agree with the split, you can discuss it in the embedded group chat, and later claim a refund from the pool as well. Facebook's video autoplay feature causing inflated mobile data bills? The app also lets you pay and request payments from individuals on your contact list as another feature. 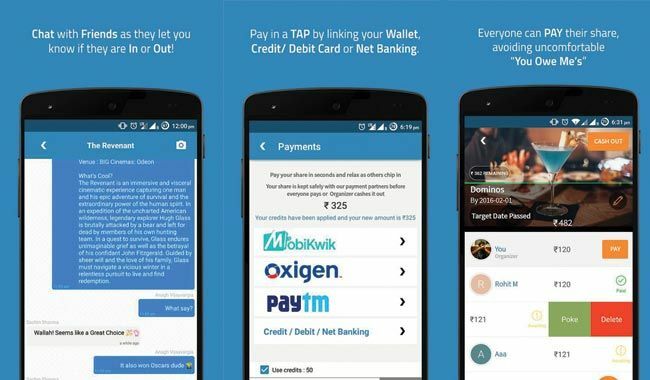 All these payments can also be processed via the integrated Mobikwik or Oxigen wallets. Also, the feed section shows you your friends’ activities on the app. The other section in the app is ‘Plan and Pay’, which has subsections 'My Pools’-that allows you to create and track pools for future plans that you can create under several categories like 'Gifting’, 'Food and Dining’ etc. 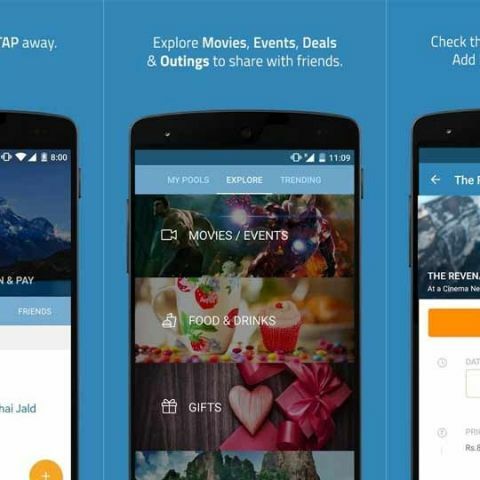 And if you are planning for a popular event, head right over to the 'Explore’ subsection which shows you Movies, events, restaurants around you. Each of these sections have specific features, like the Dining section also allows you to book a table. You can even purchase gifts in the Gifts tab. And lastly, the trending subsection shows you the activities the Mypoolin users are interested in. Along with all these amazing features, one of the best things about the app is its attention to detail. If you're making a travel plan, the app shows you a description of the destination. Checking out a restaurant? You can see what's their specialty and what other users have rated it. These minor features actually play quite a significant role in making this more than just another payment app. Mypoolin isn’t trying to be just another payment app. What it seems to target is something bigger - a complete social planning and payment tool for your amazing plans! Mypoolin is currently available on the Google Play Store and the App store, and if you want to try it out in a browser first, you can do that on their website.